The interview consent is the matter of ethics. 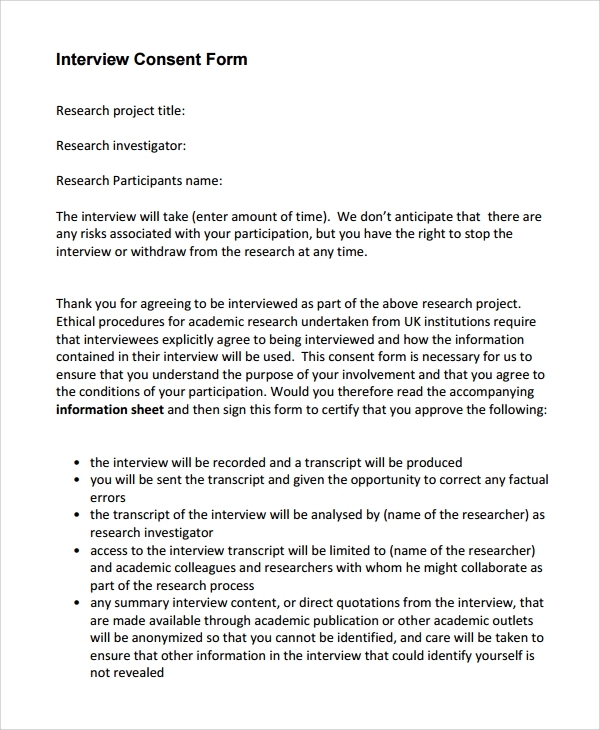 You cannot take interview of a person, and reveal those details in public, or in some project, research etc, without letting the interviewed person know. To make it legally acceptable so that never in future you are challenged for revealing the discoveries of the interview, you must get the interview consent form duly filled and signed in by the party. This is for the safety of the interviewer and the interviewed both. You can also see Video Consent Forms. 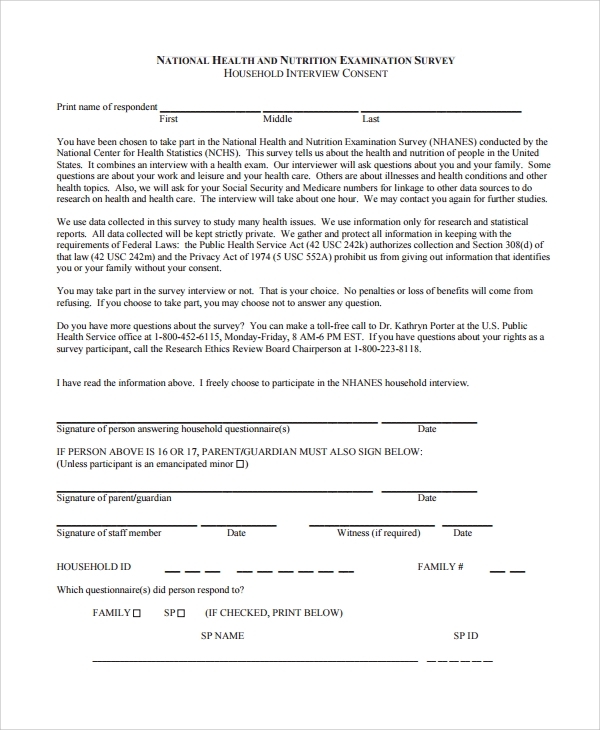 Interviewing any adult with proper consent from the non-vulnerable population, and regarding any non-sensitive topic needs this kind of form to be signed in by the interviewed. This avoids legal complication in future. This PDF template helps you make a similar form or use the same after customizations. 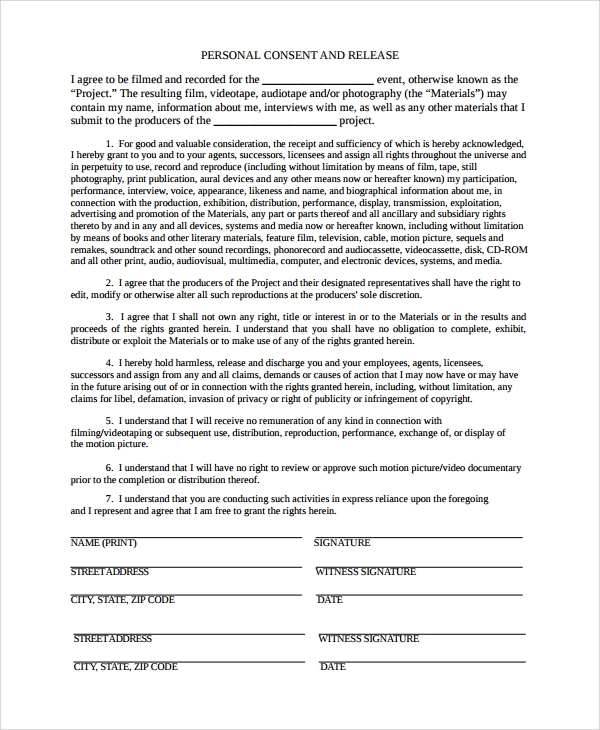 If you are going to be interviewed by a journalist for some kind of research, project etc, then you must be given this template or form to duly fill in and sign. This will be the permission for the journalist to interview and release the related content in news, media, research paper or whatever other ways. 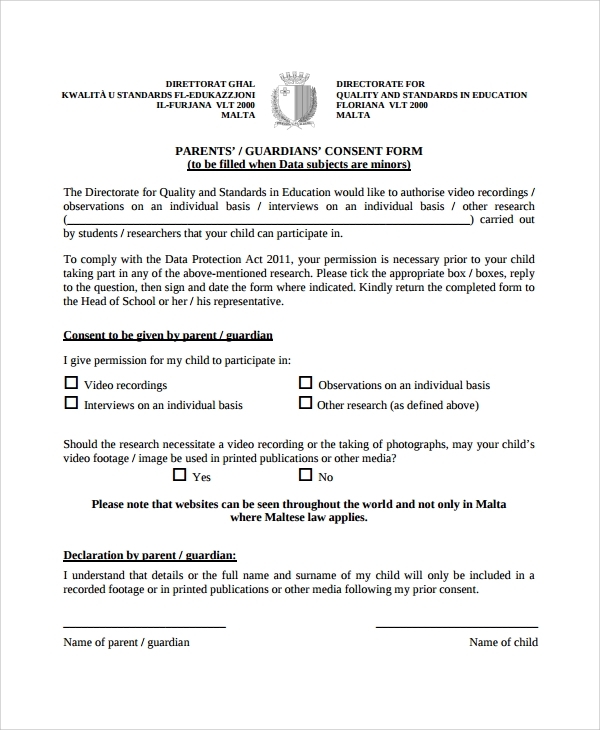 If parents, guardians, or their child are interviewed for any reason by the school, college or authority etc, then this kind of consent form will be used. The PDF template describes the format, which can be customized by the organization to get to a proper format. 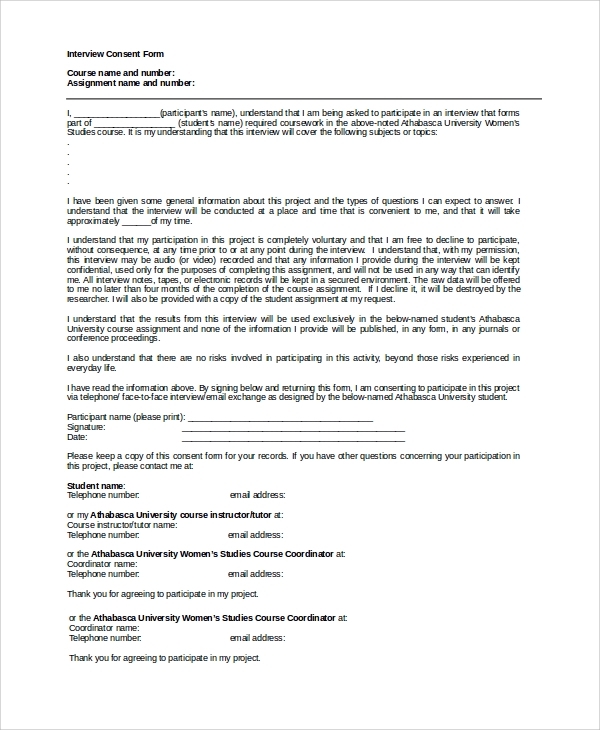 This is one sample PDF form, which suggests the format for a research interview, and the format can also be customized for use in any generalized interview or in other domains too. Overall it asks for the consent of the interviewed through the time specified on the form and discussed what topics or pattern can be anticipated through the interview. 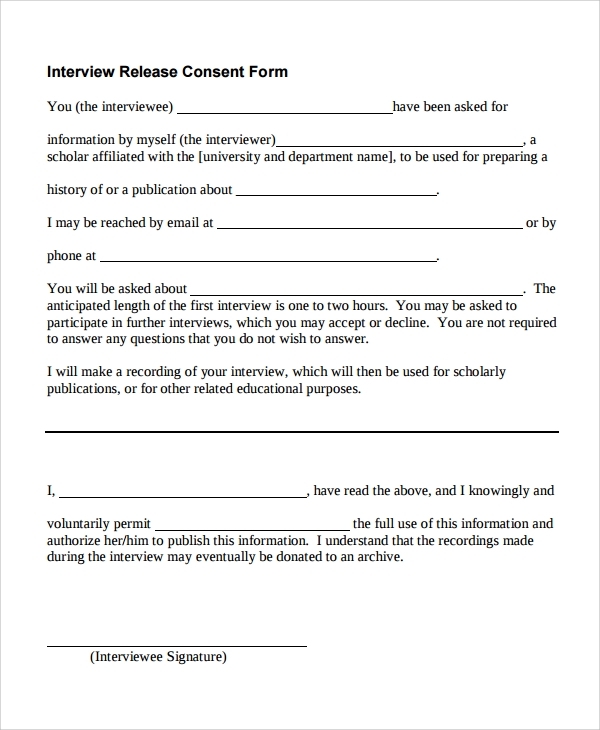 The interview consent form formats are available in both PDF and Word formats. 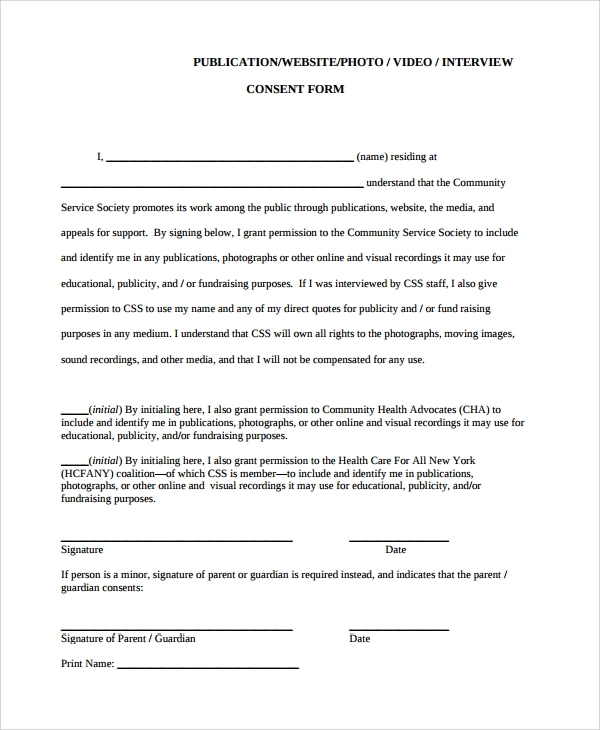 You can get many different types of consent forms online, and make them work for you, you will simply have to download and customize them. The interview consent format would help you avoid legal complications with parties.